Why not build a computer specifically designed to run virtual computers? Although it sounds odd, the fact is I would love to buy a computer that doesn't have an operating system... just virtualization software. Virtualization software created a revolution in the way people looked at computing. 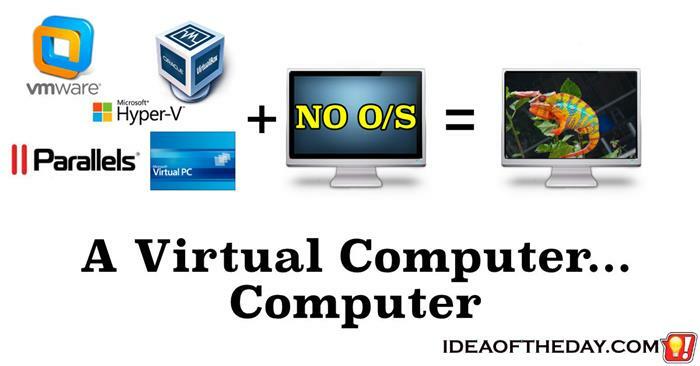 Using a virtual computer, your computer can run multiple operating systems at the same time. What that translates into is completely isolating each operating system session so that anything that you run on one session is incapable of corrupting the other sessions, and it allows people to simultaneously run programs designed for entirely different operating systems. 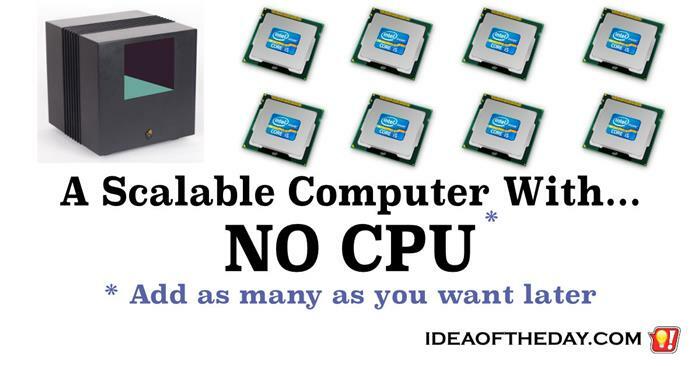 A Computer With NO CPU. Just Add As Many As You Need Later. Even though the CPU is the heart of every computer today, I think there's another way. A computer with NO CPU. Modular. Scalable. Better. In the early days of computing, it was common for computers to have the ability to upgrade them as new technology came along. Over the years, the concept of upgrading a computer faded away. I think with today's technology, we can not only build computers that are upgradable, but completely modular, making it unnecessary to upgrade an entire computer. In fact, by leaving the CPU out of the computer itself, it opens up an entirely new design which can allow you to add as many CPUs you want down the road. Here's how it would work.